Each new member to our club gives a "classification talk" to tell other members something about his or her life and work. 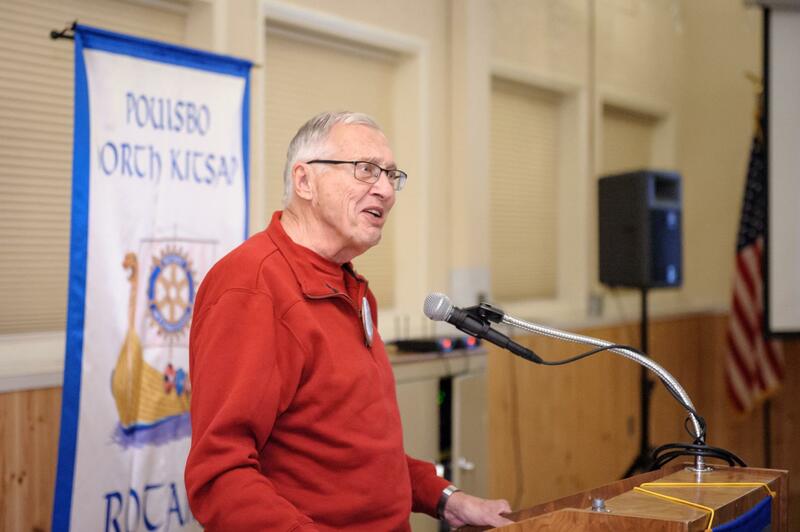 Longtime Rotarian, but new Poulsbo Club member Denny Davis, formerly of the Bainbridge Island Club, delivered his required Classification Talk. Denny spoke of the devastating impact alcohol had on his family as he was growing up. He was the son of a Minister, and eventually became one as well, spending 20 years in that role in Oregon. He also spent time as the President of Northwest College and time working with the Crystal Cathedral in Southern California. In all, he’s been a Rotarian for 45 years, only recently relocating to Poulsbo.